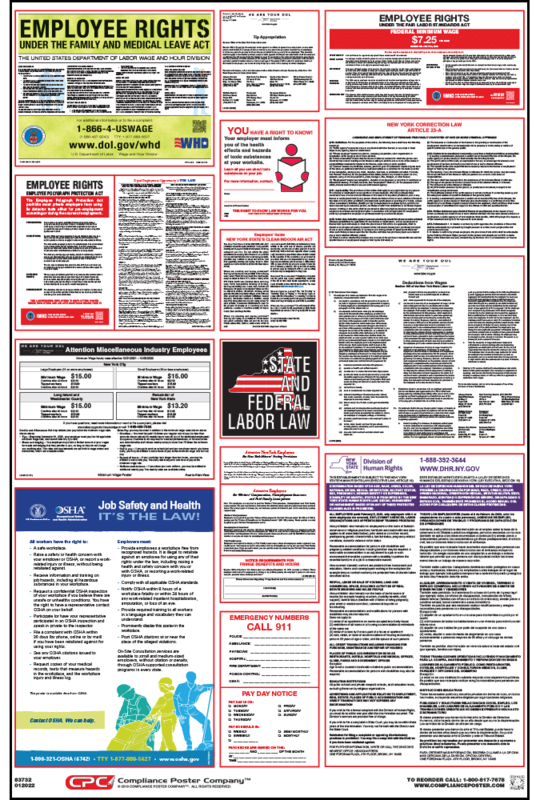 Federal and New York laws require employers to post notices informing employees of their rights and protections while performing work for their employers. 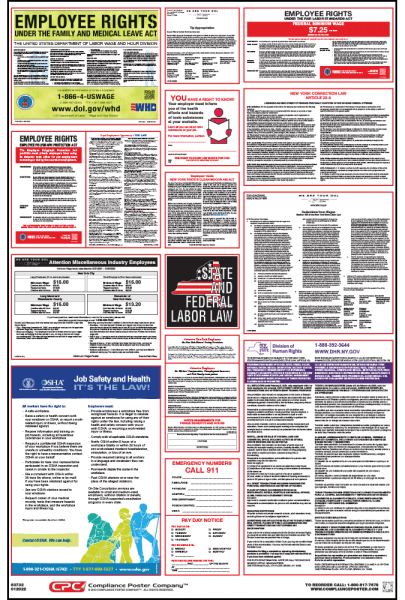 New York Labor Law Posters contain each of the state and federal mandatory labor law notices that must be posted in the workplace. In New York, employers may also be required to post a separate city or county poster depending on their location. (SB 6406) New Paid Family Leave, effective January 1, 2018. Employers must obtain the Notice of Compliance for Workers’ Compensation and the Notice of Compliance for Disability Benefits from their worker’ compensation carrier and display it conspicuously in the workplace. Employers must obtain the Unemployment Insurance Notice to Employees from the New York Department of Labor, Registration Subsection and display it conspicuously in the workplace. Employers must obtain the Paid Family Leave Notice of Compliance from their insurance provider and display it conspicuously in the workplace. Employers are required to post Wage Orders specific to their industry. Search New York products to find mandatory posters for specific businesses.